Driving lessons New Tredegar that will give you the best chance of passing your driving test 1st Time! 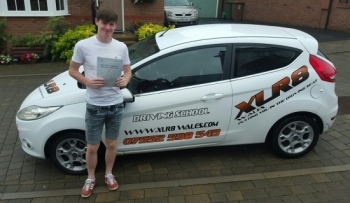 XLR8 Wales Driver Training offer a variety of driving lessons including manual and automatic driving lessons, driving instructor training and a range of refresher training courses. All of our driving instructors that cover New Tredegar are DVSA qualified Approved Driving Instructors, and Enhanced CRB criminal record checked. We take great pride in ensuring that every one of our learners have fun, learn and most importantly are able to drive on the roads safely after passing their driving test. We offer a range of driving lesson packages both in automatic and manual vehicles from single driving lessons to block bookings, intensive and semi intensive driving courses, alongside motorway driver training, refresher driving courses, post driving accident support and specific training for disqualified drivers.